However, it isn’t going to be easy. Although the exercise portion of your training regimen stays the same, your diet is going to be interesting to look at. You will be getting all of the three building blocks of the body, which are carbohydrates, proteins, and fats, from plant sources. The lack of animal protein is going to be very noticeable in the long run. One of the big questions of the vegan bodybuilding diet is why do it at all. Why not do it the easy way and opt for a normal diet? Even going for a pesco-vegetarian diet would be easier, with its access to eggs, fish, and milk. One big reason is the challenge of it all. A lot of bodybuilders are into the lifestyle because they like to have a hurdle to overcome in their life. Whether it is a target weight or a particular visual result, being able to achieve it can be a great high. You’ll love knowing that you managed to do something incredible with your discipline. 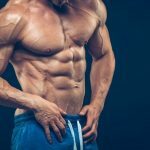 Another reason for a vegan bodybuilder diet is the fact that it can actually be better for your health. Vegan diets are already healthy in comparison to the normal diet that is rich in meat, dairy, and processed foods that raises your risks of getting sick from a whole range of health conditions like cancer, heart disease, and diabetes. A vegan diet removes a lot of what’s wrong with modern diets and delivers a clean eating experience that removes a lot of the worries you have with chemicals and other harmful substances in food. Finally, it is a good thing to show the world that you don’t need to benefit from the slaughter of animals. The vegan movement is all about upholding the rights of other animals in the world, ranging from fish to cows. The fact that you can build muscle without resorting to animal products is a good way to show your dedication to the vegan philosophy and can draw interest to the cause. Now that you know why you’re doing it, you need to know how to do it. The first thing I have to mention is the workout. Your meal plan may look and taste good, but without the exercise regimen to jump start muscle growth, your muscles are not going anywhere. Muscle grows when your body builds up the muscle fibers after they have been damaged. Whenever you exercise, it puts stress on your muscle fibers. This is why people feel a burning sensation in their muscles when they exercise. It is the body warning people about the damage they are doing to themselves. Fortunately, the body is also quick to repair the damage. When resting your muscle fibers are rebuilt, but to adapt to future stress, more fibers are added and they are built more thickly than your older fibers. This is where we see the noticeable muscle growth from bodybuilding. Most of this will require proteins. This is why you’ll want to focus on short and intense workouts. This leaves your protein reserves to building up muscles and not powering them. 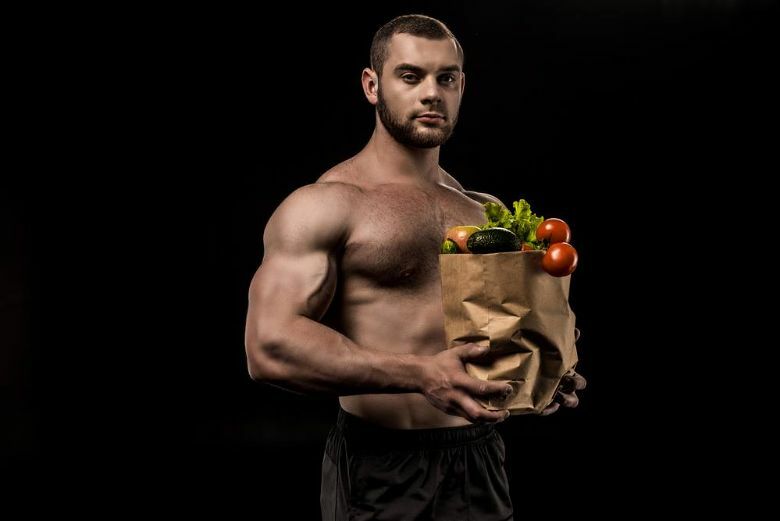 Now we go to the main part of your vegan bodybuilding meal plan: its components. Like a normal bodybuilding diet, you will still return to proteins, carbohydrates, and fats. Proteins will provide you with the building blocks of building up your body, while carbs and fats will help fuel your body through the rest of the day. Let’s begin with the easiest component: carbohydrates. Carbs are the food source of choice for fueling your muscles. This is thanks to the fact that your body metabolizes them easily. The trouble is that too many carbs can lead to weight gain as they trigger higher insulin levels. Insulin allows you to use sugar found in carbohydrates as energy. That’s good, but it also triggers a “fat storage” response in your body. The result is that carbs have a higher chance of becoming fat deposits. If you weren’t exercising a lot, higher carb content in your meals would cause you to balloon in weight. To avoid that, you’ll need to balance your carbohydrate consumption. It may form the largest part of your diet, but you will need to pick quality sources of carbs. Aim for complex carbohydrates that release it into your body slowly like oatmeal, grits, and brown rice. They should also have a whole lot of fiber to help with the digestive process and so that you feel full faster. The next component that you will need to look at is fats. Most of the time, when people think about fat, they have a mental image of the fat on red meat. However, those are saturated fats that are solid at room temperature. Those are bad news since they raise your cholesterol levels and increase your health risks – not to mention you can’t eat them on a vegan diet. Fat sources are available from plant sources though, and they are of the healthy variety. Unsaturated fats are fats that stay liquid at room temperature, and experts agree that they are the best fats around since they are more robust and can lower your cholesterol levels. The purpose of fats is to provide energy and to help with body processes. Fat is an essential component in producing hormones that will encourage muscle growth as well as ensuring that your skin looks good and smooth. For energy, fats provide double that of the same amount of carbs and protein, so they are a good substitute. Take note though that they are the first to be converted into body fat so you’ll need to limit their consumption. Finally, there is protein. Protein is what your body uses to build muscles and fuel them. Many people associate it with animal products though. Admittedly, animal sources of protein tend to be packed with them. However, there are a lot of whole-plant foods that can provide you with the protein that you need. There are even vegan mass gainer supplements that you can take to help boost your protein intake. The main problem with plant protein is that they are wholly different from animal protein. There is less protein to be found in plant sources, and the amino acids that make up these proteins are not the same. The result is that you will need to consume a lot more plant protein than animal protein. For example, experts did some calculations, and they estimated that to get the same amount of protein as four ounces of steak, you will need to eat 18 cups of broccoli. It is possible to build a reasonable vegan meal plan though. Before we move on, there is another issue that needs to be addressed. When you limit yourself to vegan food options, you increase the risk of nutritional deficiencies. This because animal products have some vitamins and minerals in much larger quantities than plants. Studies have shown that vegans have a tendency towards low levels of iron, calcium, zinc, and omega-3 fatty acids. This is because a lot of people get their iron and zinc from eating meat, while calcium is from milk. Omega-3 fatty acids also mainly come from fish. These are pretty essential nutrients. Iron and zinc help with blood production and general energy levels. Calcium is needed so that you can have strong bones and muscles, which is very necessary if you plan to work out a lot. Omega-3 is a useful fatty acid that helps lower cholesterol levels and improves your general health. You will want to take supplements or specifically focus on foods that give a lot of these nutrients when building your diet. When you start planning your vegan bodybuilding diet plan, you begin by crunching some numbers. You need to first determine how many calories you need to operate while bodybuilding. A simple way to do so is to just multiply your body weight by 20 if you are a man and 17 if you’re a woman. This is a good medium calorie estimate. However, I think it would be better if you found a more accurate estimation by using freely available online calculators. They take into account your body mass index, weight, and current activity to give you a more accurate read. You then start focusing on the three macronutrients above. You should have one gram of protein for every pound of your body weight. The next one is that you should have 0.3 grams of fat for every pound. Multiply your protein consumption by four and your fat by nine – this is how many calories that you can get from these sources per gram. Now subtract these calorie counts from your recommended daily calorie count. The remaining calories should come from carbohydrates, though you can tweak it a bit by compensating with fat instead of carbs. For an example of the entire process, let’s start with a man weighing 180 pounds. His daily calorie intake for bodybuilding should be around 3600 calories. For his protein intake, he needs to eat 180 grams of protein, providing him with 720 calories. For fats, he will need to eat around 54 grams a day, which gives approximately 486 calories. The result is that he will also need to consume about 2394 calories from carbohydrates. There is still room for fiddling around, but this should be your primary break down. Now that you know how much you need to consume, you are going to need to get to the specifics of your vegan bodybuilding meals. Let’s begin with proteins. The best sources of vegan protein are those that are absorbed quickly and have a lot of amino acids. One of the best sources of protein is nuts. 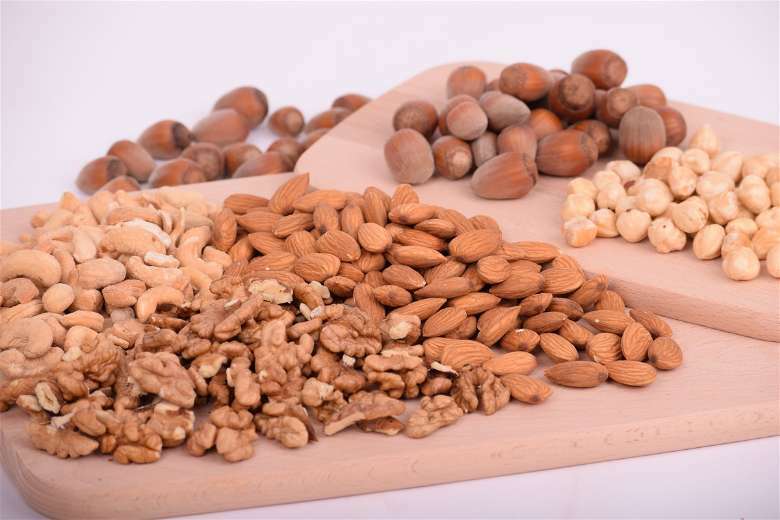 A mix of almonds, pistachios, and peanuts in a single one-ounce serving can deliver around 160 calories to your body. The great thing about it is that it also has a good serving of good fats and fiber, making it an excellent food. Beans are the second best source of protein behind animal protein, so it is a good idea to add them to your diet. Any bean type whether it is lima or garbanzos has a lot of protein packed in them. You can average around 15 grams of protein per serving of beans. Have some vegetarian three-bean chili, and you can enjoy a protein-packed meal that is also very healthy. Finally, there are high-protein vegetables. Spinach, peas, kale, and broccoli are the four high-protein veggies that you should have on your plate. Add them to smoothies, steam them, or even straight up eat them in a salad – you can easily get 15 grams of protein from just six cups of these vegetables. Moving on from proteins, you’ll need to go to fats. We’ve already discussed nuts as a fat source, but there’s an even better one: coconut oil. This unsaturated fat source is high in fats and cooking your food in coconut oil is a delicious treat. Thanks to the fact that coconut oil seems to go directly into becoming fuel in the liver instead of fat storage, it is an excellent worry-free source of fat. Avocados should be your next go-to source of fat. This fruit is an impressive ingredient. Turn it into guacamole or a creamy dessert. They are very fatty, but their fat is the unsaturated type that is good for you. You can make a lot of vegan bodybuilding recipes with avocado as a base ranging from soups to toppings. Seeds are also another source of fat. Whether in oil form or actual seeds, plant seeds from various plants are packed with fats. One of the highlights is flaxseed oil. This particular seed is packed with omega-3 fatty acids – which you would normally find in fish. Use this as a vegan substitute so that you don’t miss out on the health benefits. The final macronutrient, carbohydrates, is actually pretty easy for vegans. First, there are cereals and grains. Ranging from quinoa to brown rice, you can eat them directly as porridge or mixed up in bread. Carbohydrates from these sources are complicated and are slowly released into your body, ensuring that you won’t get fat on them. It also helps that they have a ton of fiber. Another great source of carbs is fruits. 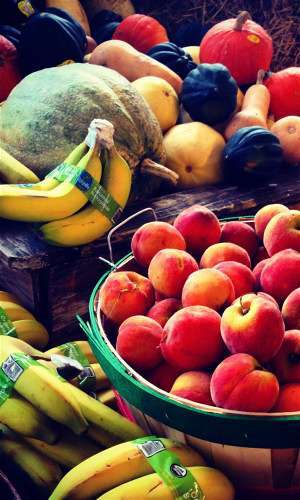 Whether it is apple, banana, or pears, fruits are all delicious and filled with carbohydrates. Some of it is from the glucose that makes them sweet, but on the whole, fruits are very healthy. This is mostly thanks to the fact that they have a whole lot of vitamins in them. Apples have vitamin C and potassium, while bananas have even more nutrients packed into them. A fruit salad is a great way to fuel yourself for a day while snacking on fruits is a healthy way to keep your energy up. Finally, you will want to eat squashes. Whether it is zucchini, butternut, or a simple pumpkin, squashes are filled with nutrients and carbs. It also helps that they have potassium and water to help prevent bloating and keep your body hydrated. Eat them steamed or in soups to get the best effect. 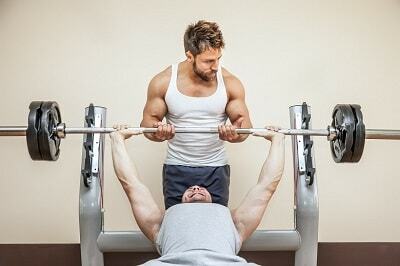 Vegan muscle building is possible with the dietary guidelines above. However, there are some tips that you may find useful. First, don’t hesitate in using supplements and powders. As mentioned, a vegan diet will be lacking a few things regarding nutrients. It also happens to be lower in terms of protein. You’ll want to cheat a little by getting some concentrated help. For example, soy protein powder is a good substitute for mass-market muscle gaining formula. You might also want to take vitamin supplements that are vegan in nature to help meet your recommended daily allowance. Iron should be your main focus since people usually get it from animal sources. Second, spread out your meals through the entire day. Your goal is to constantly feed your body so that it has the energy to do its usual job while also working out. The feeding will also help with muscle growth since it is during when you’re resting that it usually happens. More feeding times also enables you to maintain a healthy fat level since you won’t end up always hungry. Third, focus on variety. You don’t want to get bored with your meals. This leads to you breaking your diet. This is why you’ll want to plan your meals beforehand so that you have a good spread of choices. Don’t pick the same foods day-after-day and ensure you find them all delicious. Vegan bodybuilding is a very difficult approach. However, it is possible, and it can even turn out better for you, with your health and body much improved. Start your diet regimen now to get the benefits as quickly as possible. I once visited a Vegan friend and his eating habits were so irritating to me and I decided not to tread such path. After staying with him for a while, I got to understand the need for opting for Vegan than other processed foods, especially with a bodybuilding motive in mind. Thanks for sharing this post, I now have more reasons to continue. Hi. I’m glad that you like it. Thanks!